A former official at the U.S. Veterans Affairs Department has been named to head the medical group for the nation's largest Catholic health system. Dr. Baligh Yehia, who served as deputy undersecretary for health starting in 2016, joined Ascension Medical Group on July 15 to become the organization's new chief medical officer, the system announced Thursday. 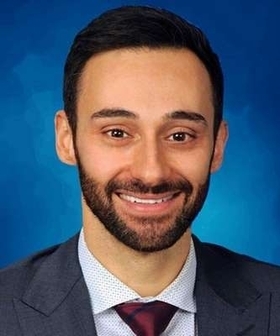 Yehia left the VA in 2017, and for the past year has been an assistant professor of infectious disease medicine and senior medical director for community care in the Office of Johns Hopkins Physicians, where he led initiatives to better community health and clinical integration systemwide. In his new role, Yehia will lead clinical direction for one of the country's largest physician groups, which has physician practice care sites in 22 states and the District of Columbia. "Dr. Yehia was selected due to his extensive experience in building and leading change in complex health systems and markets, including the deployment of population health strategies," said Dr. Joseph Cacchione, president of Ascension Medical Group, in a written statement. From 2012 to 2016, Yehia was an assistant professor of medicine at the University of Pennsylvania, where in 2013 he founded Penn Medicine's health program for LGBT patients.